MOTORHEAD - OVERNIGHT SENSATION RE-ISSUS (CD) | Online Shop | Wizard LTD. 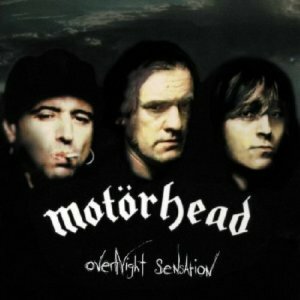 Album: "OVERNIGHT SENSATION RE-ISSUS (CD)"
Following the departure of Wurzel in 1995, the band returned to the same three man formula as "the classic Motorhead line up"; Bass Guitar/Vocals, Lead Guitar and Drums. This album is also the first, since Ace of Spades, to have a picture of the band on the cover. Despite being only a three piece, the band have a heavier style on this work than on their last album, Sacrifice.